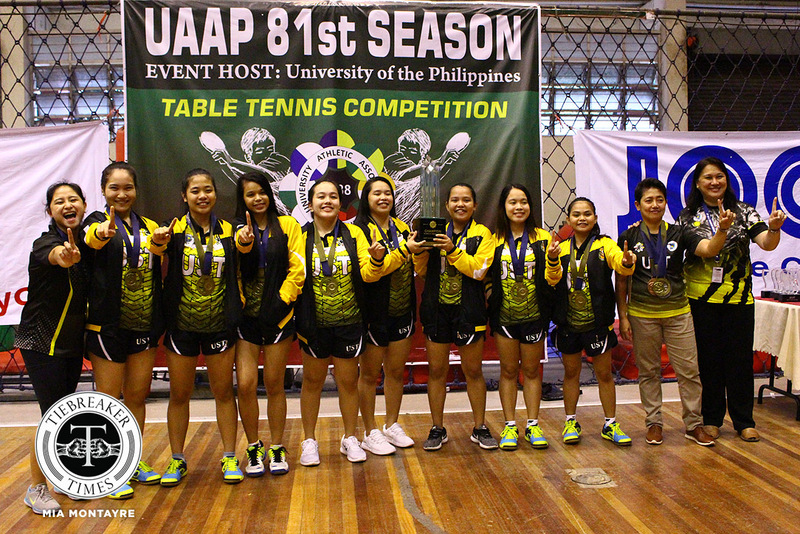 After 11 long years, the University of Santo Tomas Lady Paddlers have captured another UAAP women’s table tennis title. 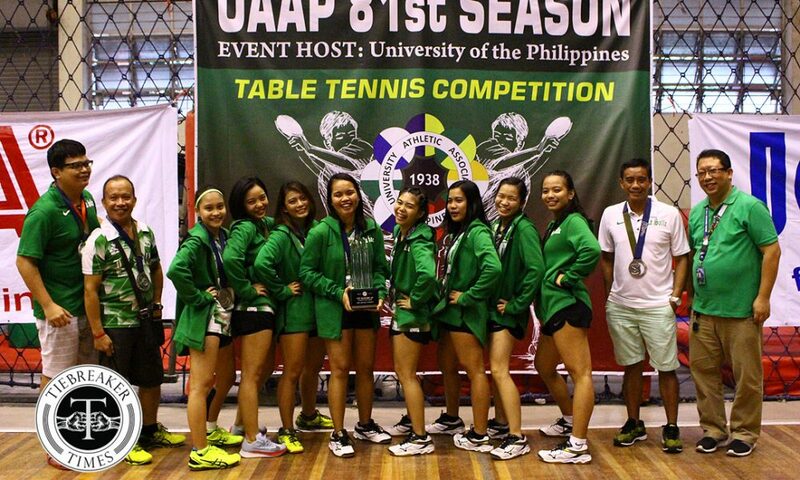 In the shadows of their perennial rivals, and with former three-peat champions De La Salle University Lady Paddlers at the forefront, the Lady Paddlers of España had to settle for trophies not colored gold. 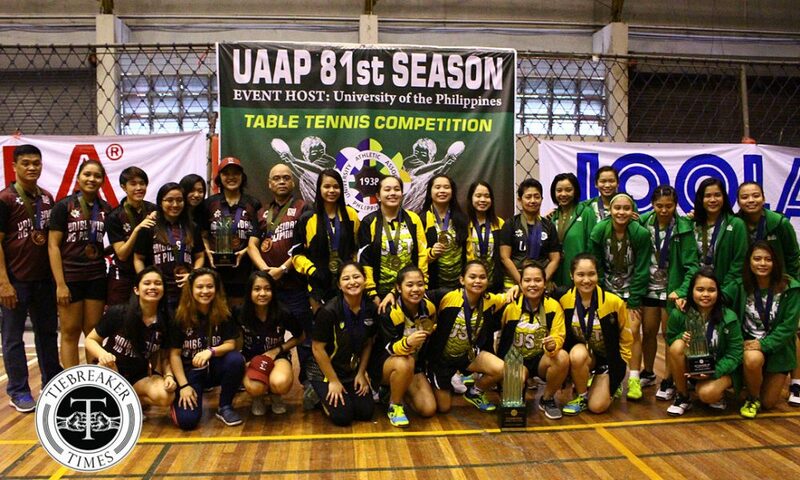 However, after winning two close 3-2 matches in a row, the latter finally ended the wait, Monday afternoon at the University of the Philippines Gym. The day started on a positive note for the Tigresses, who had reached Monday’s Finals series virtually unperturbed after sweeping the Fighting Maroons in the semifinals last Saturday. As it turned out, coach Lorinda Wadjad and her squad had everything planned out. “For the first round, second round, nakita namin na hindi nagpapalit ng lineup yung La Salle. So, naghanap na lang kami ng first, yung gitna, kasi yung doubles ko hindi talaga yan natatalo eh. From my first year wala kaming talo sa doubles, so sabi ko dapat merong first, gitna, at dulo,” the long-time UST mentor shared. That adjustment worked, as they learned from the 2-3 defeat of the second round. And fortunately for Wadjad, her girls also responded. 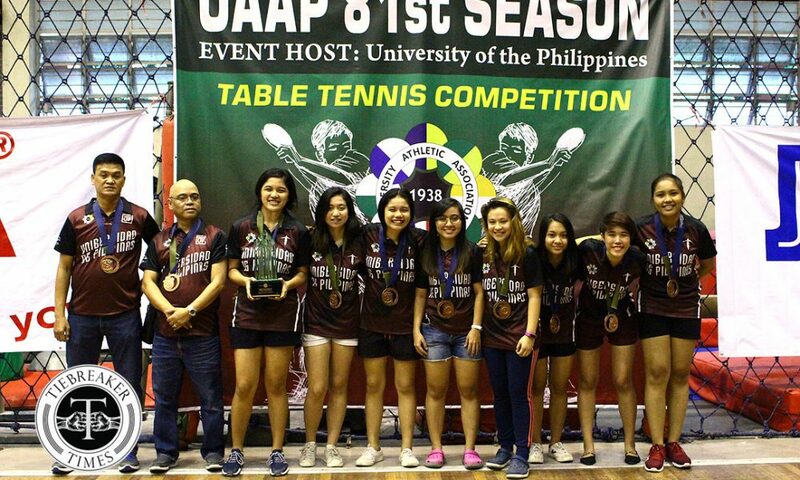 During the morning’s battle, the Lady Paddlers denied the defending champions a series advantage once more, just like the previous year. Sherlyn Gabisay opened it up for UST with a four-set win over Jhoana Go of La Salle in the first singles match. Clara Dereho and Kathleen Tempiatura then regained the lead in the team match after another four-set win past Careesha Bernualdez and Ina Co. 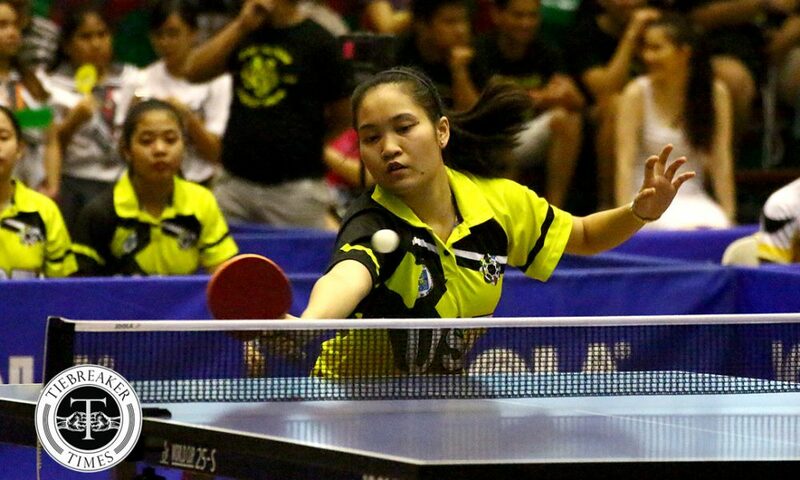 The Lady Archers then took the other two matches to send the contest into the deciding fourth singles. 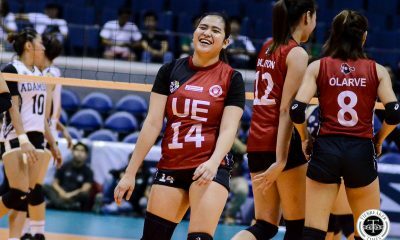 Reigning Most Valuable Player Emy Rose Dael denied the challenge of Danica Alburo in four games. Afterwards, rookie Jannah Romero equalized for La Salle with a similar four-set finish over Kate Encarnacion. 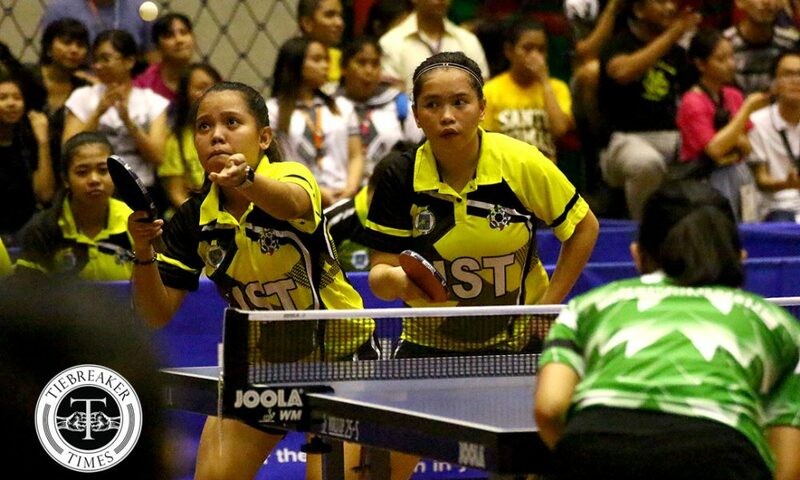 It then all boiled out to UST rookie Shaeena Ronquillo and La Salle captain Chantal Alberto. 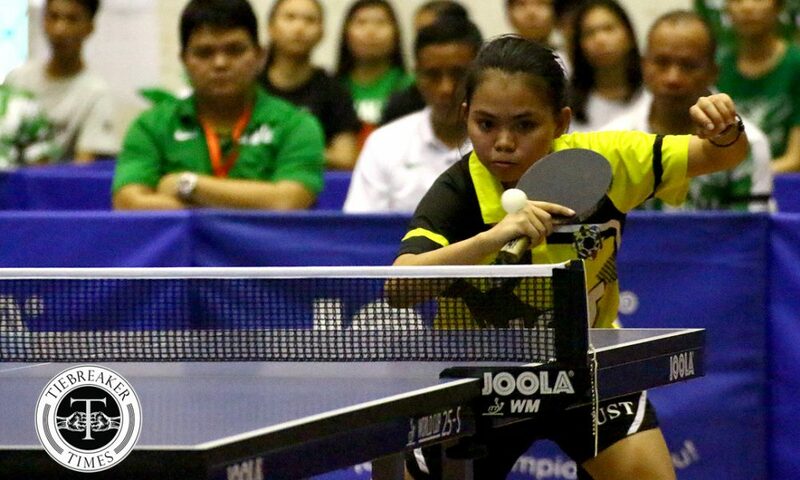 In the end, it was the young upstart from España who walked away with a shocking sweep, taking with her the 1-0 series lead for the Lady Paddlers. And this time, the Tigresses did not let their chances slip. Last year, after that big upset over La Salle in the first tie, the then-reigning back-to-back champions swept the last two to deny the España side the crown and extended that latter’s wait to another year. 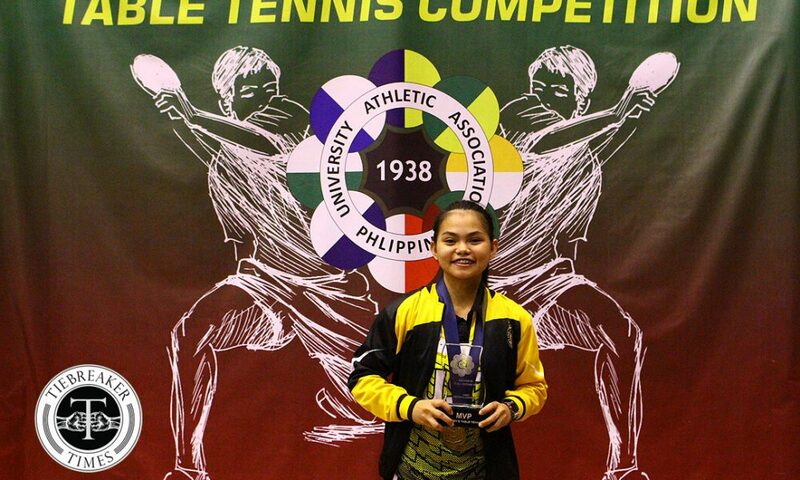 This year, UST did not let lightning strike twice, as Ronquillo once more shone for the gold. In the afternoon, it was La Salle who drew first blood with last year’s MVP Dael taking down Katrina Tempiatura four sets, 11-8, 6-11, 11-2, 11-9, in the opening singles match. Nonetheless, UST would steal the lead in the next two matches. Alburo carved a win this time, dealing the La Salle skipper Alberto another loss in the series. 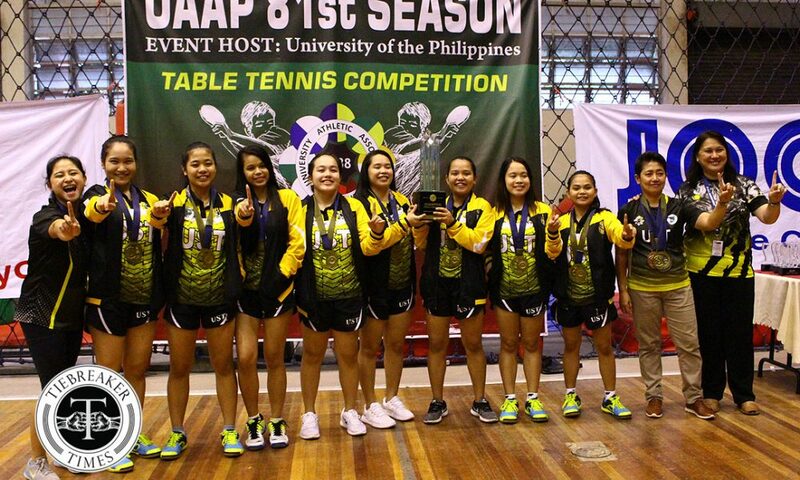 The UST senior took the match in just three games at 11-7, 11-9, 11-6. The duo of Kathleen Tempiatura and Derecho then made sure it would be another point for the doubles after they finished off Co and Kimberly Sorongon in our games, 11-4, 11-8, 6-11, 11-5. Eventual Rookie of the Year Romero turned back Gabisay in the third singles match to keep La Salle’s reign afloat at 11-6, 11-8, 11-8. However, Ronquillo – despite coming out empty-handed individually – made sure the crown would return to España. 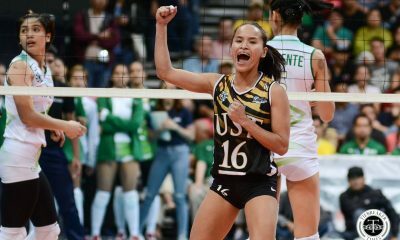 Another spectacular performance from the UST newbie finally ended the wait for her squad. Go stalled Ronquillo from grabbing the gold after a fourth-set win, but eventually with the latter’s firepower, it was just a matter of time that a 5-0 advantage lead to an 11-6 win. Coach Wadjad was understandably lost for words after the win. Regaining her bearings, however, the champion tactician expressed her happiness. “Ayoko lang din mag-assume at that point, kasi fight[ing] din talaga si La Salle. Pero nafi-feel ko rin kasi, fight[ing] talaga ‘yung last player ko. I guess yung prayer ko … sa kanila talaga ibinigay,” she said. 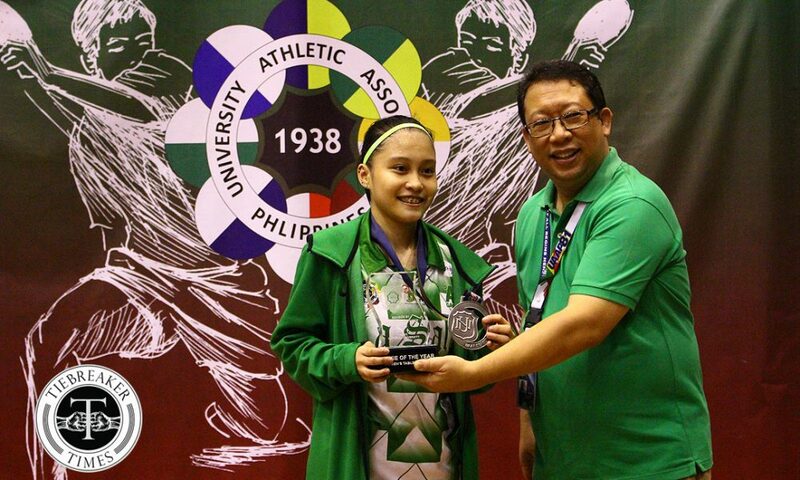 Katrina Tempiatura took home the top individual plum.